If you are looking for lodging facilities, why not choose a bed and breakfast Budapest accommodation, which promises you great comfort and peace for an unbelievable price? There are many great family run b&b in Budapest where you can expect to get high level of comfort, intimacy, relaxation and charm. Check some of the best hotels in Budapest in the bed and breakfast category and pick the one depending on your requirements and budget. 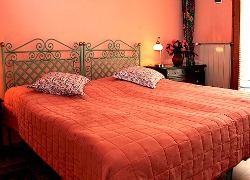 This B&B in Budapest is certainly the best choice for everybody who comes here for business, pleasure or just to relax. Located in the heart of the city at a distance of only 200 meters from the famous Vaci Street, the b&b is well-equipped with all the facilities you can expect within the comforts of your home. The amenities include Wi-Fi connection, computer, flat screen TV and coach, refrigerator with water and snacks, bathroom with big showers to name a few.Don’t be surprised to be welcomed by professional and courteous b&b owners to the contemporary and elegant environment of this accommodation facility. Lying within an easy reach from the tram and metro facility, the Budapest B&B is located within a walking distance from Hungarian National Museum. 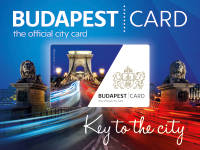 You can also visit the city center or Gellert Baths from here with ease. If you want to spend a perfect evening, take a walk along the banks of the Danube in the evening followed by shopping and dinner in the nearby trendy restaurants and bars in the neighborhood, where you can enjoy delectable Hungarian cuisines and alcoholic beverages. As per the customers’ reviews, there cannot be any accommodation better than Butterfly Bed & Breakfast in Budapest. Right from the staff to the owner, from the rooms to food, everything is very good here. Located in the 6th district of Budapest in an elegant 19th century building on its penthouse floor, this Budapest B&B is a great place to stay in. Explore the best historical, cultural and artistic sights of the city while enjoying the comfort of the bed and breakfast lodging facility. The main attraction of this B&B is a 600 square feet terrace where breakfast is served in a cozy atmosphere.It has got nice interior exuding sophistication and modernity. You can expect to receive 24/7 on site service during your stay here. You can choose between deluxe and standard rooms here. Room amenities include central air conditioning, “Rain Dance” shower for 2 people, complimentary mini bar, flat screen TV with 75 channels, laptop with free high speed Wi-Fi, DVD player with DVD library, alarm clock, hairdryer, books to read, complimentary laundry service and house safe for valuables. There is no elevator in the B&B, which could be an irritant for some guests. Other than this everything is so good about this place that you would like to stay here every time you come to Budapest. This is a comfy B&B in Budapest, located in the World Heritage Area, offering a panoramic view of the Danube, the Fishermen’s Bastion to the east and the Parliament to the west. You can easily access Downtown by metro or bus from the hotel. The amenities in rooms include air conditioning, ceiling or table fans, secured & free Wi-Fi, alarm clock, radio, mini fridge, hairdryer, TV and cable, private bathroom, sitting area and desk.Other regular services and amenities are also available on site. It is a pet friendly B & B. The lodging facility lies in the residential area of the Castle District, in proximity to Víziváros a central area of Buda where you find everything you need at hand. 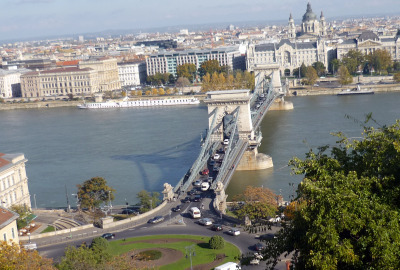 From here you can explore walking the Royal Castle, art galleries, concert venues, fine dining, live music places, churches for religious services, Turkish baths and the great Danube promenade on the Buda side during your stay here. 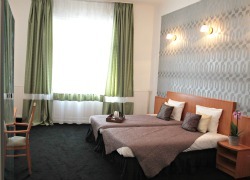 This B&B in Budapest offers you all facilities that make it a favorable option to stay. The owners of BB Belleveu strive to make each of their guests feel home, not only with their advice on what to do or where to go but also with their friendly and accommodating personality. This Budapest B&B offers different apartments, hotel rooms and houses modeled and furnished in the style of Brody House. You would surely enjoy your stay here, irrespective of the reason of your visit to Budapest. Brody house is a unique place, mixture of a secessionist style building and a modern looking interior design, elegantly done by local artists. Every room is singularly decorated with style and unusual and marvelous finishing touches. The staff are very friendly, attentive and offer a lot of useful information on what to see, where to eat and what to do in the evening. 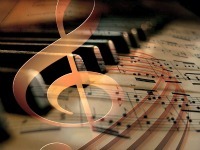 There are often cultural nights and live music events at the bar club of the hotel. Brody house promotes international and local artists by showcasing their work across their venues, and all the exhibit works are available for sale. So, if you are looking for a comfortable, cozy and out of the ordinary place to stay, Brody house might be what you are looking for. 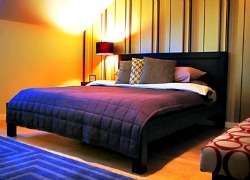 This is a very modern and comfortable Bed and Breakfast alternative located on Oktober 6. Street. The place is in a perfect location where you can walk to the bus stops and train station, attraction places such as Budapest Basilica, Váci Utca, the Liberty square, Andrassy Avenue, the Opera house, the Great synagogue,the Chain Bridge and different kind of restaurants in short distances. 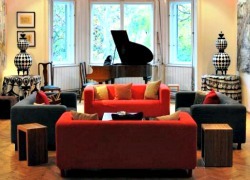 Trendy Bed and Breakfast is an apartment located in an old but well kept traditional building of Budapest. Its rooms are spacious, clean, well equipped and comfortable.The rooms are decorated in modern style: zebra room, honey moon suite, family room and flowers room to choose from. There is fast wi fi internet connection and breakfasts contain all you need to start your day with energy. The only fact that could be consider a disadvantage for some travelers is that most rooms have no private bathroom. A clean bathroom, a restroom, the living room and the dining room are shared areas with other guests. Trendy Budapest is a convenient choice for those who are looking for comfort at affordable price. 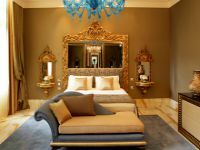 I hope you find our selection of the best bed and breakfast Budapest alternatives useful and you can easily choose any of the aforementioned best hotels in Budapest in the BB category to enjoy a comfortable stay and a pleasant holiday in Budapest.